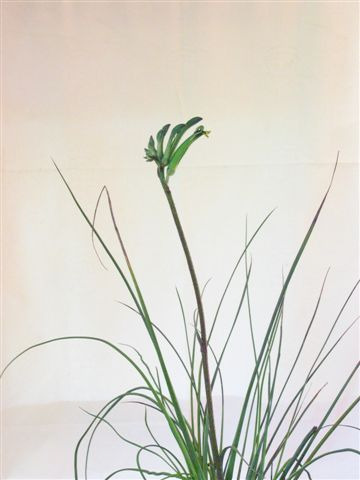 An ornamental small perennial grass-like plant. It makes an excellent border plant with its unusual green flower and contrasting grey cylindrical leaves. Can be grown by division in late summer-autumn or by seed. The leaves can be used for dyeing fabric etc. Grows well also as a container plant. Hummingbirds love them!